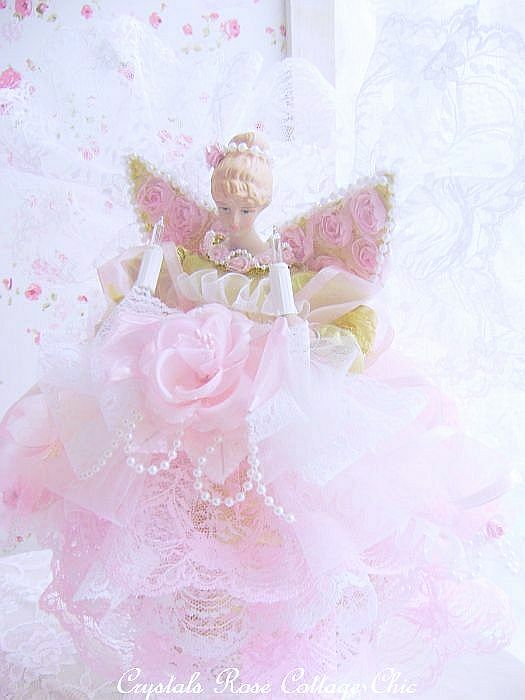 This shabby, lace angel tree topper is embellished with lovely pink and white lace,organza ribbon and trims, tulle, pearls, pink, paper roses and a sweet, satin pink rose. 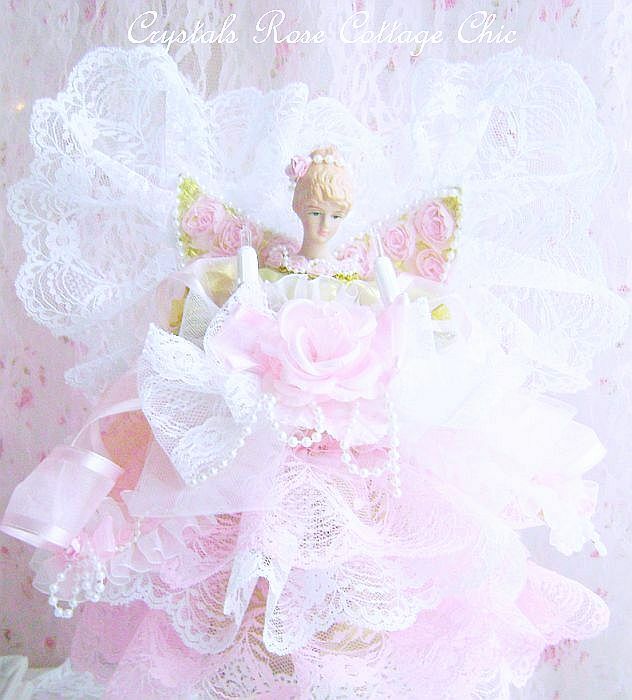 The wings are covered in shabby, pink roses, trimmed in pearls and arrayed in three inch wide, white, lace ruffles for a shabby yet ethereal look. Truly amazing! She measures 12" wide from lace edged wing tip to tip and 13" tall to top of lace wing. 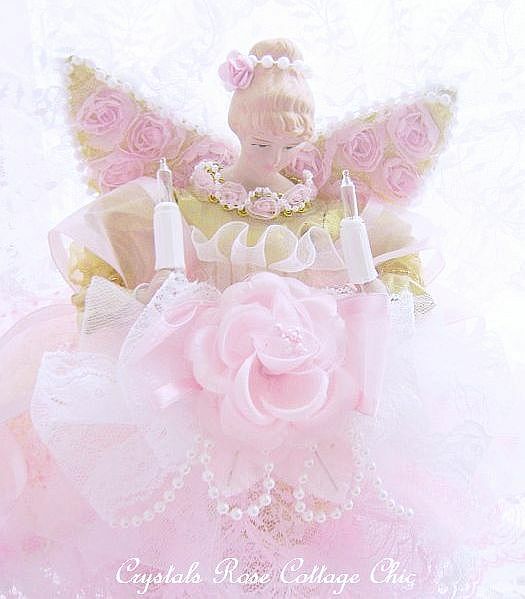 She can be displayed in your shabby pink vignette or beautifully light the top of your tree. She has lights inside and two in her hands. Free shipping in the continental U.S. If outside the U.S. please ask for shipping charges.Thank you. Only one available.